Volvo's 2016 S80 luxury sedan is well overdue for a makeover. 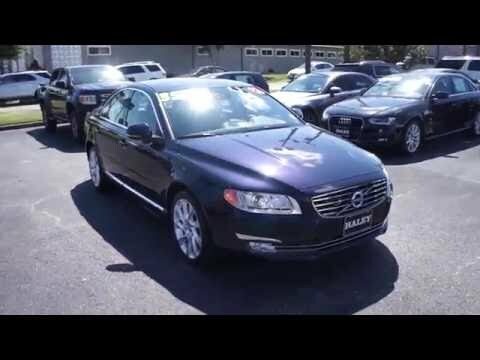 The aging luxury sedan contains all of Volvo's legendary design and safety know-how, but its lackluster exterior and limited content put it at a distinct disadvantage, especially when placed next to such newcomers as the Hyundai Genesis and Kia Credenza, let alone stalwarts like the Audi A6 and Lexus GS. Volvo keeps you safe and comfortable. The Volvo s80 is comfortable and rides smoothly. The seats have nice support. I particularly like the safety features of the vehicle, including blind spot information system and rear and forward parking assist, cruise control that adjusts when someone in front of you is driving slower, etc.. I choose Volvo because of the steel frame and safety of the vehicles. This service schedule is reasonable and you are able to drive significant distances before needing service. It also takes low octane fuel which saves money. The electric engine also means you get excellent gas mileage both on the road and in town. This is my fourth Volvo and I am committed to Volvo as my car of choice. Other features that make this car a joy to drive: Bluetooth and navigation are easy to use. Buttons on steering wheel mean you do not need to look away while driving. Zippy with sufficient horsepower. Luxury feel.